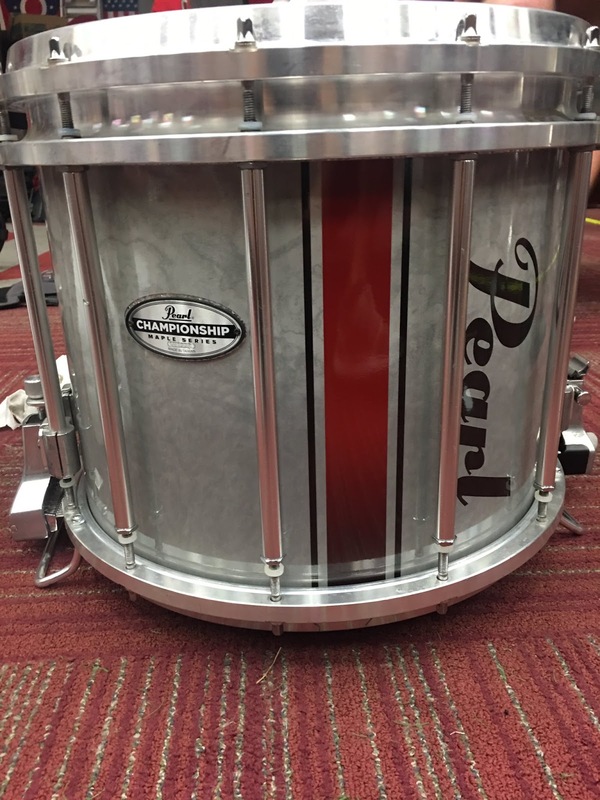 Ohio State's snares have a new look, but it feels quite familiar. The latest look from The Ohio State University Marching Band's approximates the stripe on the Buckeyes' helmets, carrying the gameday tradition through halftime in a visual way. The snareline's new look replaces solid silver drums. In addition to looking damn sharp, the new drums serve an additional purpose: Were TBDBITL's look not so iconic, there are few markers, save for miminal striping and scarlet and gray plumes, that tie the deep navy uniforms to the home school. This addition makes them unmistakably Buckeyes. Only thing that's left to do is add buckeye leaf stickers.